For the first time ever, Landcare NSW will be at the Sydney Royal Easter Show! The Show is Australia’s largest annual ticketed event, attracting over 900,000 attendees on average. During the Easter long weekend, from Good Friday 19th to Easter Monday 22nd April, Landcare NSW will be giving away native seed sticks and providing fun and educational activities for children of all ages. Individuals can become a Friend of Landcare – if you are passionate about conservation, sustainable agriculture and community resilience, support us by becoming a Friend of Landcare. OR Show your support – make a donation today! Information on all the exciting program activities we will be offering children of all ages will be available soon. Landcare is so much more than just planting trees. We also work to promote best practice approaches to weed and pest animal management. Meet Rory, the feral pig. Feral pigs cause all sorts of problems for agriculture, biosecurity, our environment and native wildlife. Artwork supplied by Gavin Coote, a regional news journalist with ABC Illawarra and talented artist based in Wollongong. 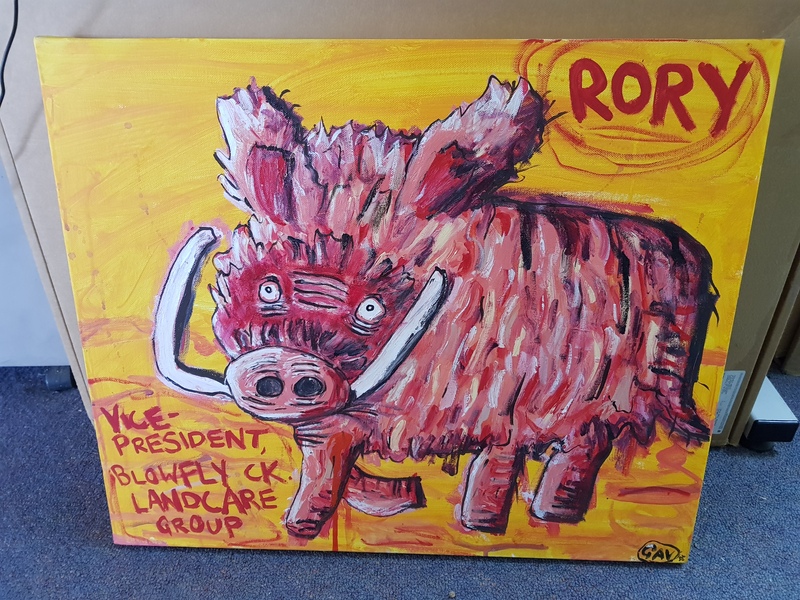 Download – Rory, the feral pig colouring sheet. Landcare Volunteers are at the heart of the Landcare movement. You can colour in our volunteer, who represents around 60,000 Landcarers and 300 groups in NSW. Download, colour in and submit our Landcare Volunteer to our Easter Colouring Competition. More details to follow soon. 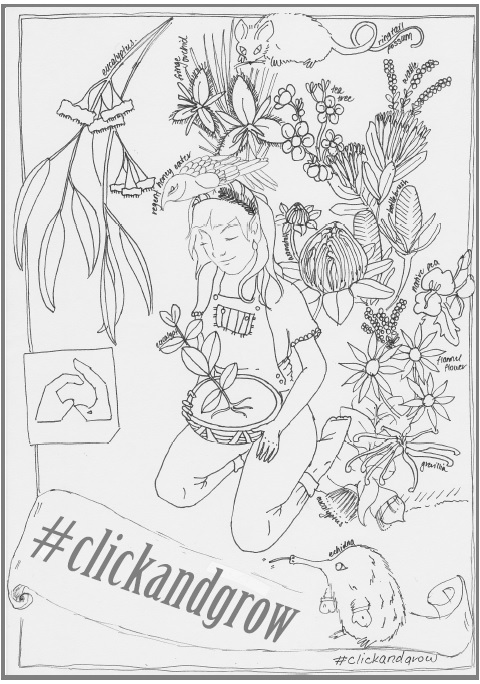 Download – Our Landcare Volunteer colouring sheet. Review the colouring competition Terms and Conditions here. 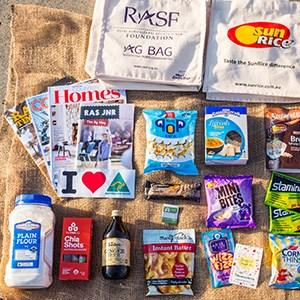 Landcare NSW will be in this year’s popular “Ag Bag”. Every cent raised by the “Ag Bag” goes directly to the Royal Agricultural Society of NSW (RAS) Foundation’s Community Futures Grant program. Click here to find out more about the Ag Bag. Landcare NSW will be located near the rest area and the Little Big Top Amphitheater. Help us raise vital funds to support NSW Landcarers in caring for our land, environment and communities. Follow us on social media to receive timely information on current news and activities. Get hands-on experience and join one of the 3000+ active Landcare groups across NSW.